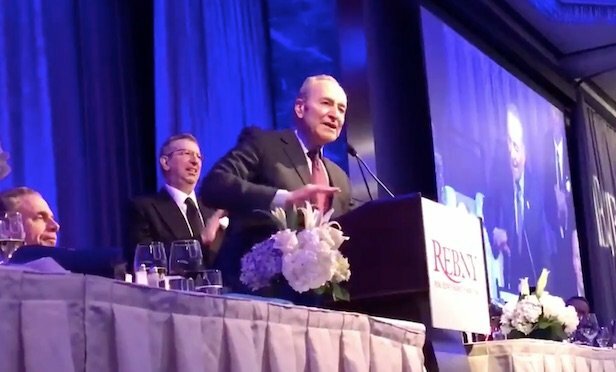 REBNY hosted its 123rd Annual Banquet, a celebration of movers and shakers, builders and makers of New York City. NEW YORK CITY—A happy, convivial mood permeated the Real Estate Board of New York’s 123rd Annual Banquet at the New York Hilton Midtown on Thursday night. The number of attendees, energy and the decibel level were sky high. It started with a pre-dinner cocktail party, mingling throughout dinner, followed by more networking outside the ballroom. It was an evening of socializing, socializing and more socializing.